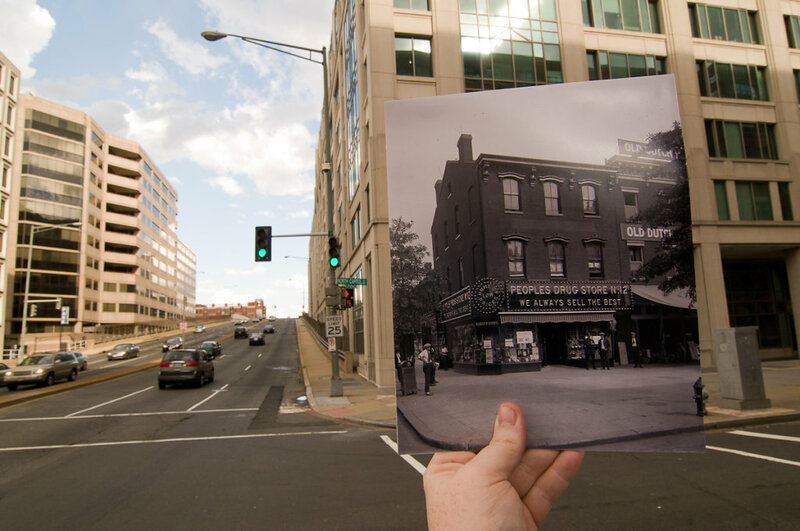 It breaks my heart to see how much of DC is now just featureless, boring office buildings. I was obviously born in the wrong era. The only thing left from this picture is what I believe to be the original hydrant location. They've obviously reworked a lot of the street, but this was my best guess.